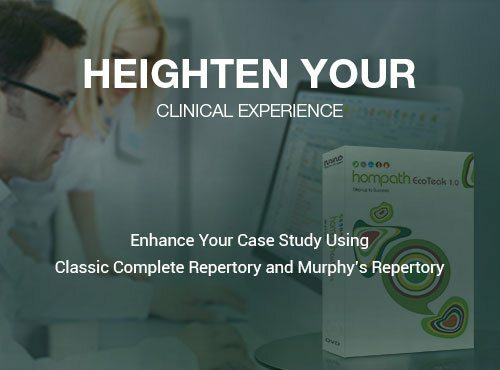 Hompath Ecoteak allows you to browse 30 Repertories, Classic Complete Repertory 2011, Murphy's Clinical Repertory. 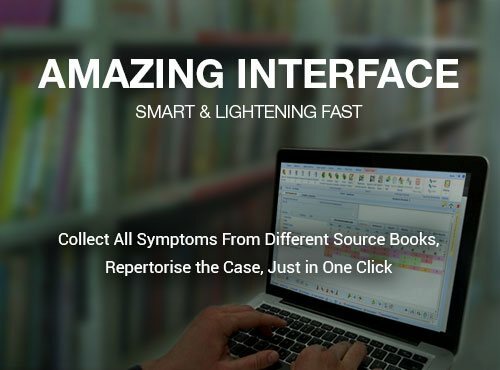 An extensive catalogue of cured cases, 600+ books and read them conveniently with simple interface. Search by author, title, topic from homeopathic remedies in the Latest Materia Medica. Enjoy reading over 3000+ remedies at your fingertips. 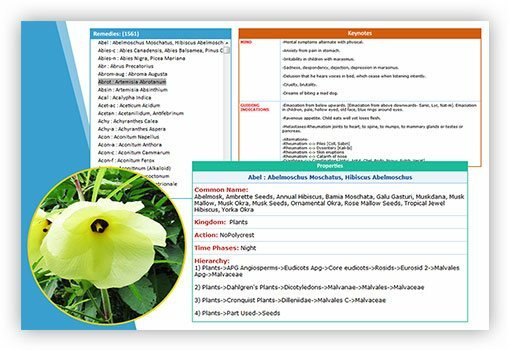 Hit the similimum from the extensive collection of rubrics and symptoms across multiple repertories and materia medica in Hompath Ecoteak. 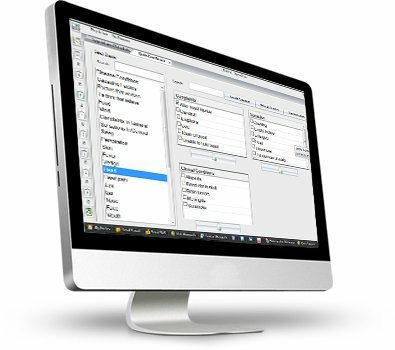 Make your totality and repertorize your case at the same time using Quick Case Record. Careful alignment of the large volumes of data reachable within seconds. Repertory is designed similar to book format which helps you find the exact symptom. Designed to help you save time while case-taking and to come up with a similimum. 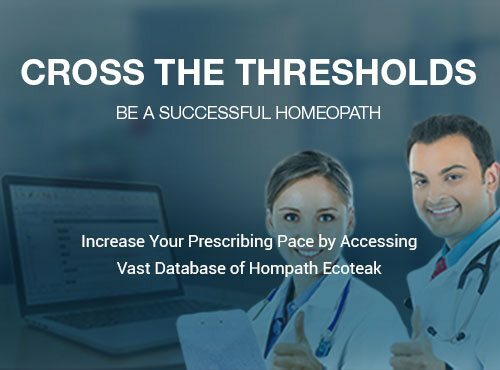 Hompath Ecoteak is packed with most useful, Classic Complete Repertory 2011, Murphy's Clinical Repertory, materia medica, reference books, vast collection of remedy information and useful clinical tips. All this backed by powerful search engine, provides you the information at an amazing speed. 30 Oldest to the newest repertories including Complete Repertory 2011 and Murphy’s Clinical Repertory version 3.0. Designed for the ease of toggling between chapters and repertories. A priceless collection of 16 unique repertories which concentrate on specific conditions. Valuable information on Thyroid, Hypertension, AIDS, Suppression, Obesity, Asthma, Pneumonia etc. New additions for the ease of functioning and finding similimum. Find available Cured Cases, Clinical Tips and Materia Medica books for any remedy. 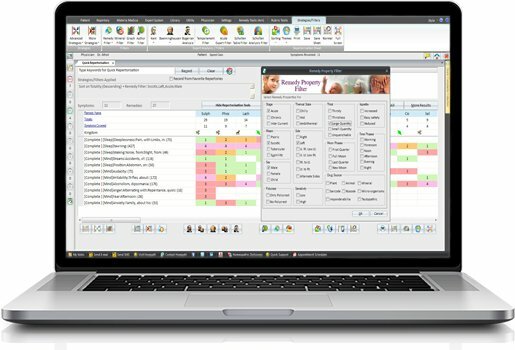 Strategic and expert filters and tools for arriving at the similimum within seconds. 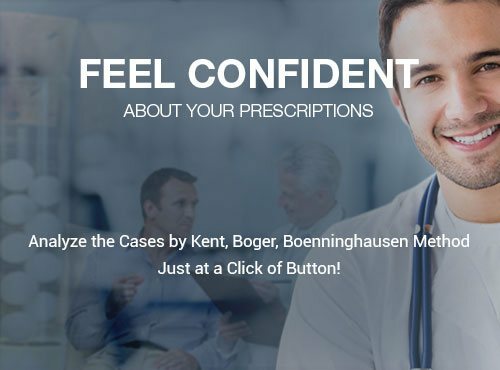 About 4000 treated cases.Learn prescribing methods for acute, chronic, one-sided, difficult or incurable diseases Cases from pillars – Hahnemann, Kent, Boger and contemporary experts. 615 patient instructions & tips on diet and nutrition.Counsel on functional to pathological states with description on do’s & don’ts.Print the Patient Instructions and give to the patients to remember and follow. 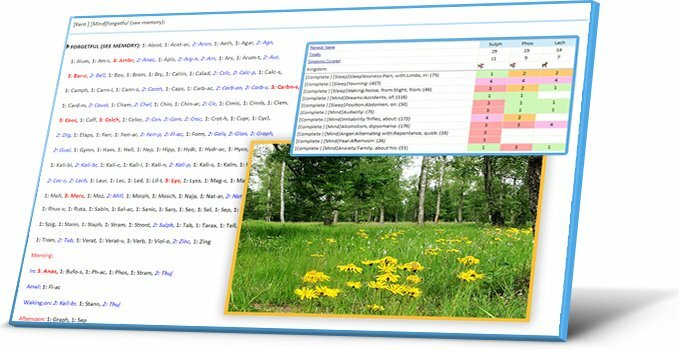 Take a closer Look at Our of Hompath Ecoteak Homeopathic Software! Your computer/laptop should have following basic system configurations to run Hompath EcoTeak Software.